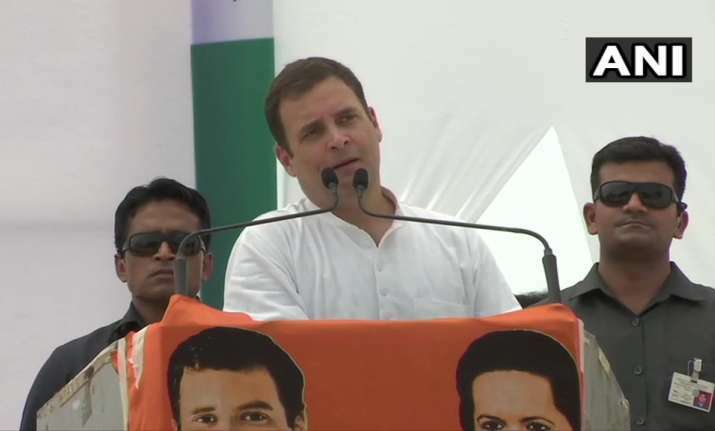 Addressing a rally in Fatehpur Sikri, which goes to the polls in the second phase on April 18, Rahul Gandhi said, "Everywhere it is the publicity of Narendra Modi. Where is the money coming from? Thirty seconds on TV or newspaper advertisements require lakhs of rupees. Who is giving the money for it? It is not coming from Modi's pocket." 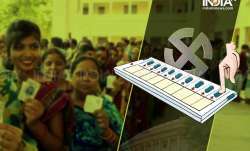 Congress president Rahul Gandhi on Monday asked as to who is funding Prime Minister Narendra Modi's campaign for the ongoing Lok Sabha polls. Asking the gathering if anyone had benefitted from Modi's promise of Rs 15 lakh, he said the Congress's promise of Rs 72,000 would benefit 20 per cent of the poorest people in the country. "Farmers work day and night and the benefit is taken away by others...they want to make two Hindustans -- one for Anil Ambani and others who get whatever they want and the other for the common people," he said.